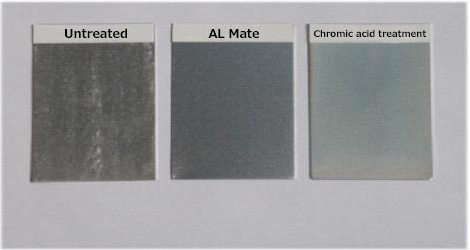 Conversion treatment process for Aluminum without Chromium | SHIMIZU CO.,LTD. This conversion treatment process for Aluminum is not included Chromium, Fluorine, Manganese compound. It is not included Chromium, Fluorine, Manganese compound at all.